What is the next level for you and your business? Do you have all the freedom, time, money, profit and success you envisaged when you started your business? If not do you have a clear strategy and plan for achieving those things? Do you want to move your business forward faster? Make decisions with greater confidence? Maintain focus and avoid procrastination? On this ½ day masterclass we will help you to address these issues and make a clear plan for progress. “Very useful platform to understand how to grow your business”. Is this masterclass for you? Are you a Business Owner/Director of an established small business with 1-50 employees? Do you want to improve, change and grow your business over the coming year? Are you frustrated by a lack of time, focus, resources, or an inconsistent pipeline? Do you struggle to “see the wood for the trees” in terms of the best way forward? Do you know what you want to change but are not putting it into action in the business? Do you need to dedicate more time to working “on” the business? If so, you are in the right place as this masterclass will give you the essential tools and understanding you need to push past the day to day and move towards achieving your goals. Focus your mindset on success with 4 hours dedicated to your business growth. Unlock the tools, time and space you need to strategise and achieve your ambition. Push past the daily grind with strategies and insights targeted to your big business goals. Take part in a mastermind session where current real and relevant business issues will be tackled to identify multiple solutions, enabling peer to peer support and learning. Finally, this is a taster of the ‘Next Level Business Club’. We will introduce you to it, so that you can make an informed decision as to whether you could benefit from a regular program designed to keep you on track and help you drive your business forward. Though we will be telling you about the above program, our intention is for attendees to get massive value from this event, whether they decide to join the club or not. We believe that if you walk away with clarity, insight and a path forward, then you will be all the more able to make that decision for yourself. Take a single step towards fulfilling your business and life ambitions by signing up for the ‘Next Level’ masterclass HERE. This masterclass will be delivered by Beverley Corson and Bryan Charter of Engineering Business Growth. Beverley and Bryan are experienced business coaches with a proven track record having coached hundreds of businesses between them, consistently receiving excellent feedback about tangible results. Engineering Business Growth is all about helping the Business Owner to clarify strategy, build momentum, maintain sustained progress and engineer growth so they can achieve their business and personal goals. They do this through their 121 coaching and growth clubs which are group coaching programmes. 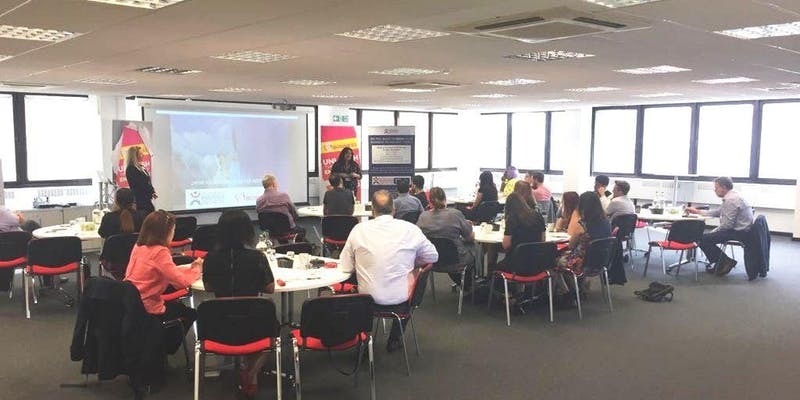 The ‘Next LEVEL Business Club‘ is currently running in Battersea, Wimbledon and Croydon and has helped numerous business owners to make significant progress in their businesses.